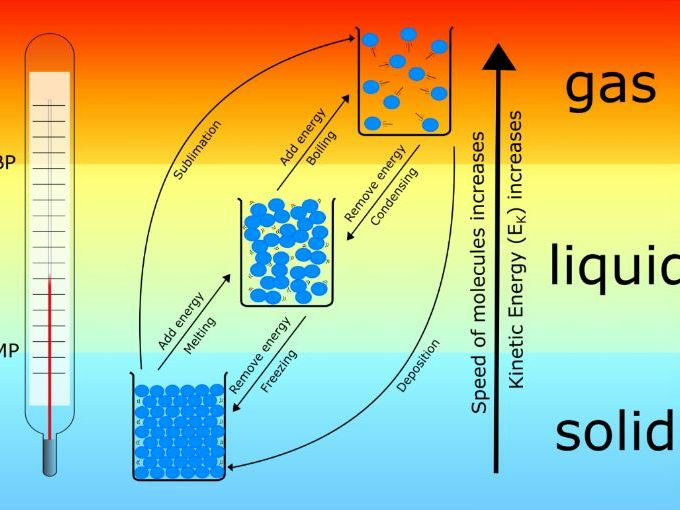 A poster connecting the concepts of states of matter, the molecular nature of matter, change of state, melting/boiling points and Kinetic Energy. I made this to fast-track GCSE students who had significant gaps in their knowledge and to triangulate concepts as reinforcement. All images are vector so the poster can be printed as large as you want. .svg images can be provided unfortunately TES doesn’t allow it to be uploaded here. I encourage feedback even if you don’t download my resources! Would you find this useful? Are there any modifications I could make for you to find it useful?